Pete and Sam’s excellent S.E. Asia adventures! 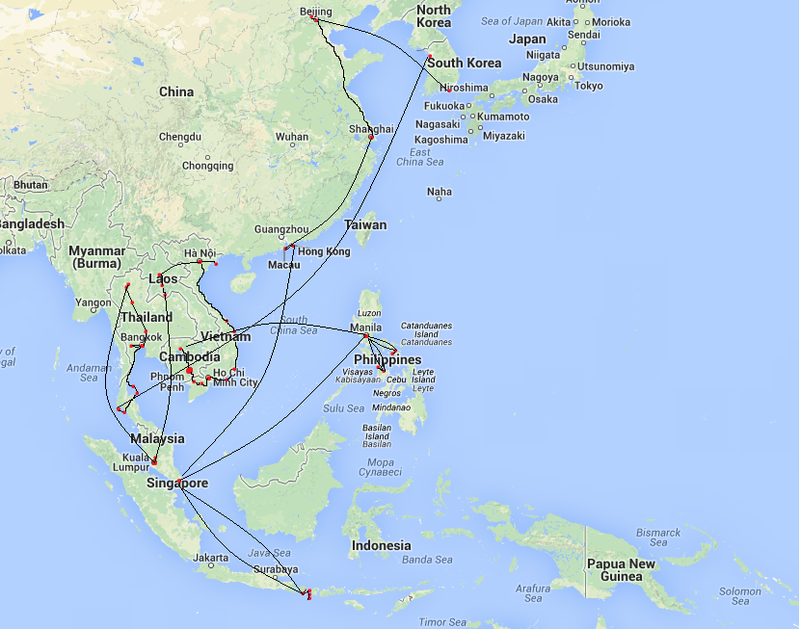 Pete and I spent most of 2013 traveling around Asia. I didn’t get a chance to tell many people about all of our adventures because we were only back in Canada for a short time. So I have decided to make a break down on what we did, where we went and how much we spent to give some people an idea. So here it goes! Pete and I managed to pay off roughly $20 000 in debt, and save $21,000 for our trip/move back to Canada. We both worked extremely hard and even extended our contacts for an extra 4 months to save every penny possible. We managed to do all this while still exploring almost every corner of Korea. To start telling you about our trip I’ll answer the most common questions asked to us. From December 2012 to May 2013, we made it to 11 different countries/special administrative regions not including Korea. We started our trip in the south of Thailand so we could enjoy the beaches and relax for Christmas. We slowly made our way up to the North and then booked a $17 flight to Malaysia to attend Swedish House Mafia’s One Last Tour. After our quick stop over in Malaysia we headed back up to Laos, over to Vietnam, down the coast of Vietnam and boated into Cambodia. We then decided we needed more beach time! So we hopped on a flight to the Philippines and visited one of the most popular holiday Islands, Boracay. After paying way too much for hotels and beer we decided to head below the equator (our first adventure there)! Bali here we come! Side note: at this point in time I was expecting to get an email from my prospective school saying “come and join us for an interview in April!” any day now, but seeing as though a slightly different email came “Sorry, but don’t rush home” we decided to blow our budget and keep traveling. From Bali we intended on making our way over to Java, but we stumbled upon these three little islands called The Gillis and decided we have seen enough temples in the past 2 years to justify skipping Java. We laid on a beach and snorkeled with sea turtles for the remainder of our visa. Where to next? We didn’t really decide this until we found a cheap flight to Hong Kong, with a few days in Singapore in between. We went from Hong Kong (to obtain our Chinese visa), to Macau then up to China on a $25 dollar flight. We spent a few weeks there, checking off some bucket list items, before we decided that it was time to head back to Canada. 2. “What was your favourite country? This was probably one of the most common questions asked and the most difficult to answer. We had so many great experiences in every country. They were all so different and amazing, how could we possibly pick!? So we have composed a list of “favourites”. Favourite country to eat: Thailand! We both love Thai food and it was so cheap and delicious! They cater to vegetarians and people who love spice! 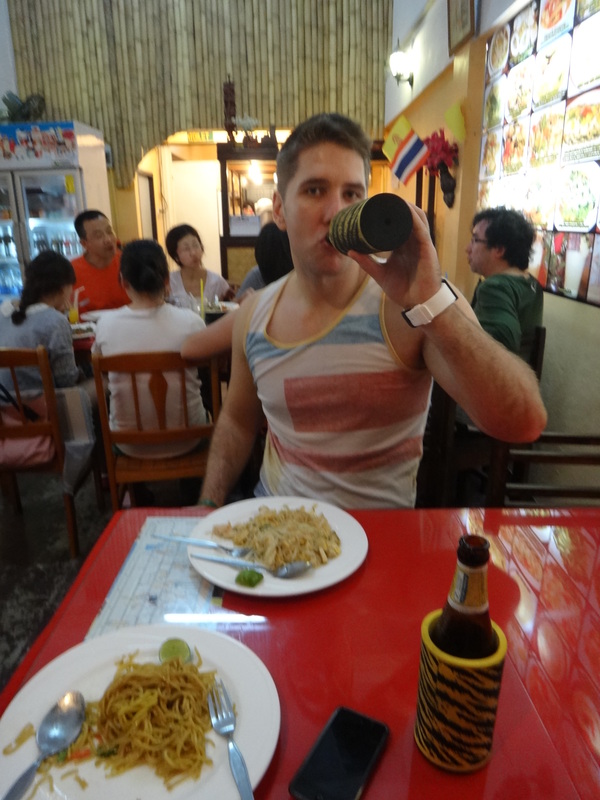 We ate more Phad thai, curry and mango smoothies in one month then most people eat in their life! 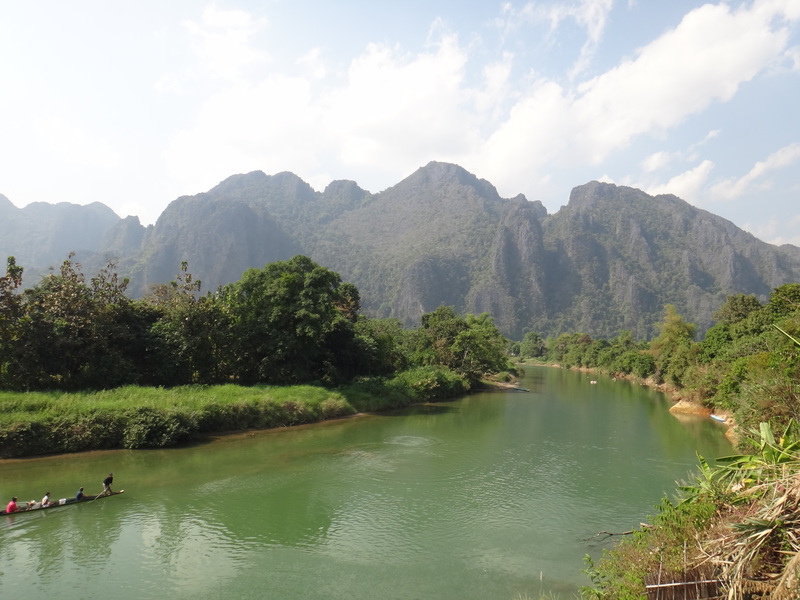 Favourite country to relax: Laos. We loved, loved, loved Laos. Some people say the acronym PDR (people’s democratic republic of Laos) actually stands for Please Don’t Rush. The people here are so kind, always smiling and super chill. So chill that at the airport, after having our visas officially canceled to leave the country, we freely walked in and out of security, across the street and around the corner to get some snacks… which they didn’t even check while walking back into the boarding area. A little more relaxed than what we are used to flying through North America. 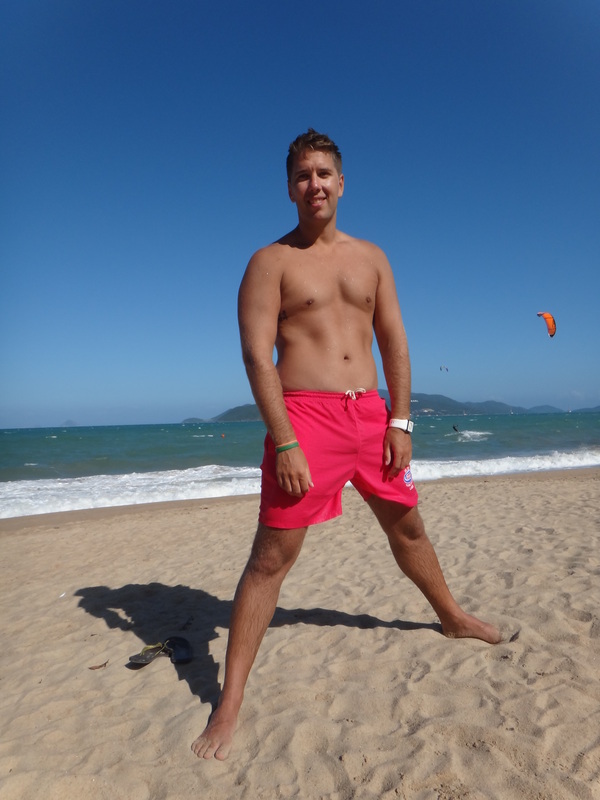 Favourite country for Beaches: Although Thailand and Philippines are both well known for beaches, Pete and I would have to say our favourite beach location was Vietnam. We spent a week in Nha Trang and never wanted to leave. The beach was clean, and not over crowded like Thailand’s. The waves were HUGE (borderline dangerous) and it made swimming more enjoyable, especially for Pete. And one last thing that puts Nha Trang on the top of our list, the hawkers were not nearly as intrusive and pushy. They didn’t stand at your towel insisting you needed a second pair of sunglasses. Favourite country for Snorkeling: Indonesia! On Gili T we intended on staying 5 days and ended up staying 3 weeks. The first time you see a sea turtle is magical. It looks as though it soars through the water effortlessly and what seems like snorkeling for a few minutes is really hours. 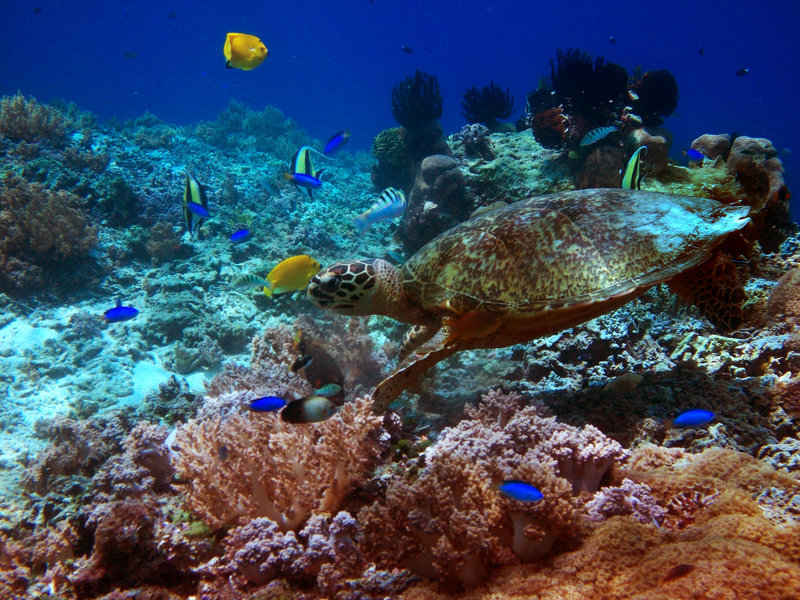 We swam with turtles every day while on Gili T and it has left us with dreams of retiring there. We also loved snorkeling in Tulamben, Bali. 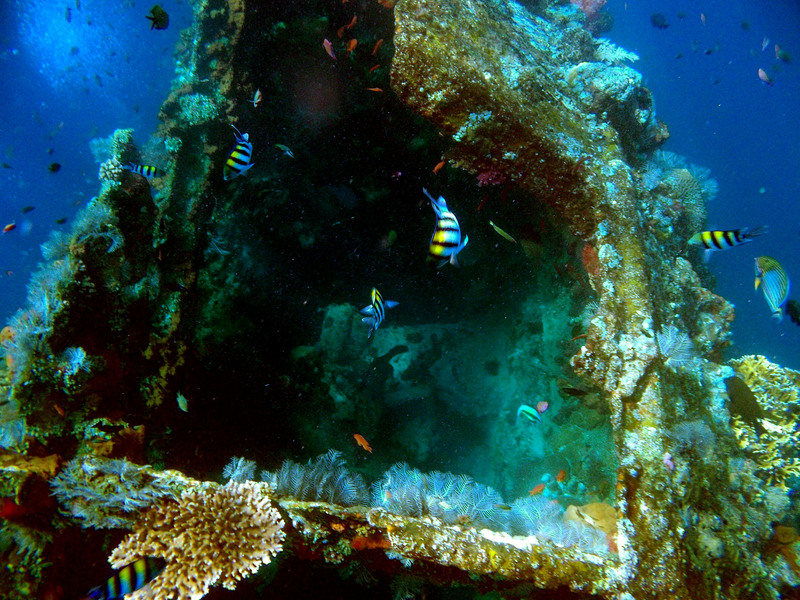 There is a sunken ship right off the coast that is home to thousands of fish and black tip reef sharks, but it’s definitely not for the faint of heart. Favourite country for drinking: This one’s a tie! Cambodia because the beers are less than 50 cents and after a long day of cycling the temples it’s exactly what you need! 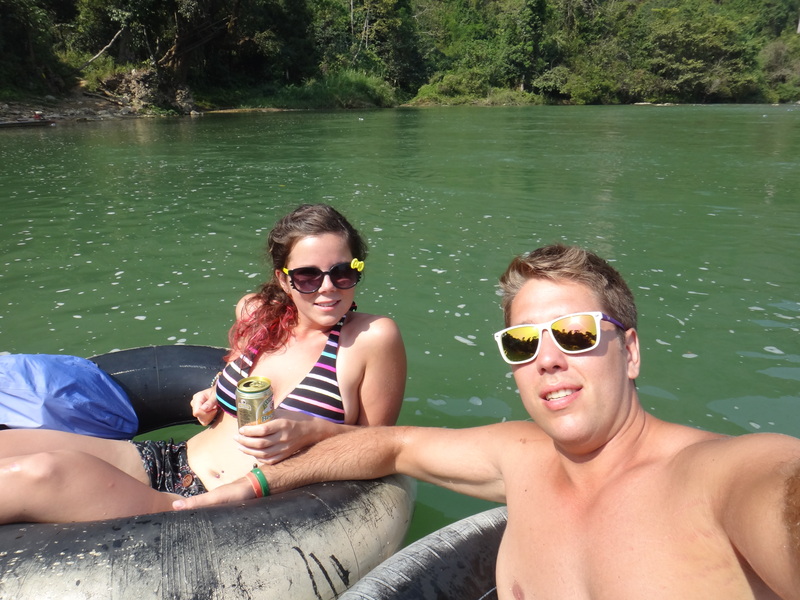 And Laos because nothing is more relaxing then tubing down a river for 4 hours with a bag of beer chilling in the water. I could go on forever with favorite lists but I think I’ll save some of those for another post. Since we were on such a tight budget and didn’t want to blow all of our savings, we did things as cheap as possible. 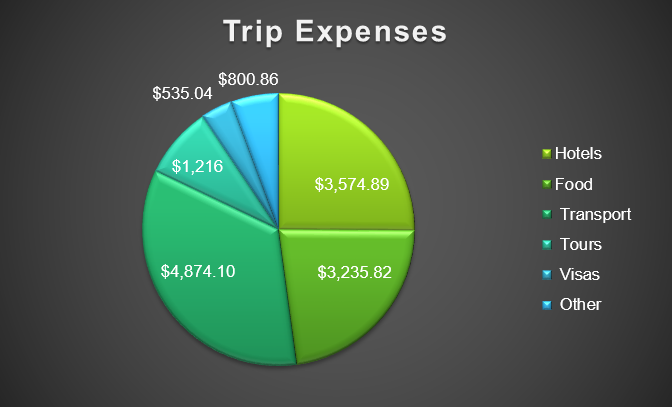 Our total trip expenses were: $14,236.32. That is about $7,120 each for 5 months of travel including all flights. Here is a little breakdown of where that money went. Developed cities like Singapore, Kula Lumpar, Hong Kong and Macau. We would only stay a few days here because they were just too expensive yet we were not willing to cut them out of our trip. Traveling during Christmas and Lunar New Year. This drove up the prices for everything!! We tried to avoid guided tours as much as possible because they were extremely pricey but we did splurge a few times and it was worth every penny! Halong Bay cruise set us back about $500 but it was so effortless which allowed us to really enjoy its beauty. Getting sick. Although the doctors are reasonably priced (and internationally trained… I added this for you mom), it’s still an added expense that was not budgeted for. My least favorite way to spend money. Broken Camera. We broke our underwater camera a day before we were snorkeling with whale sharks and it was absolutely mandatory we bought a new one! This set us back about another $150. As you can see from question 3 we kept very good records of how much we spent. 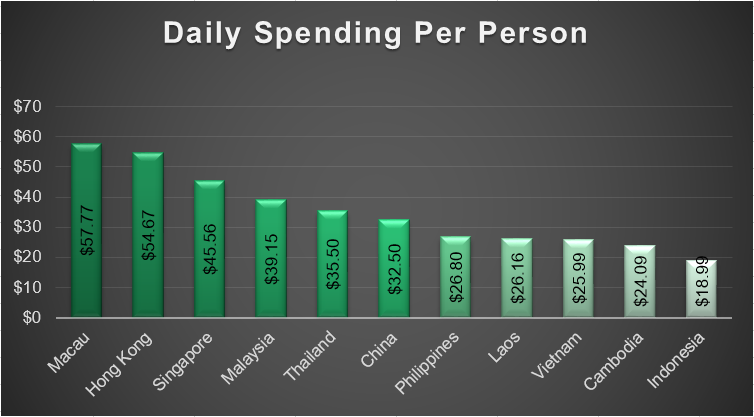 Here is an overview of how much we spent each day per person. This includes hotels, meals, admissions, transport (excluding air) and other misc. expenses like souvenirs. We did sometimes stay in nicer hotels because we were tired of counting every penny for the sake of comfort. We opted for a 5 star sweet over looking the Petronas towers when we went to Malaysia for the Sweetish House Mafia concert. This cost us roughly $60 rather than the usual $20-30 we spend on accomodations. If you were reading question 2 carefully you’ll already know that Pete and I plan on moving to Indonesia and retiring there forever! But all jokes aside, we would go back to almost all of them! We feel like although we spent a good chunk of time in each but there are so many things to see and do in that we didn’t have time or money for. I guess you’ll just have to stay tuned to see where we are off to next! These were the 5 main questions we got asked most often about our trip! I hope you have a better idea as to where we went and what we enjoyed. If you have any more questions feel free to ask, we love talking about our trip and hope to start planning another one soon! Reblogged this on Well see you later….